Ukraine rebel conspiracy theory: MH17 passengers killed earlier, he says. 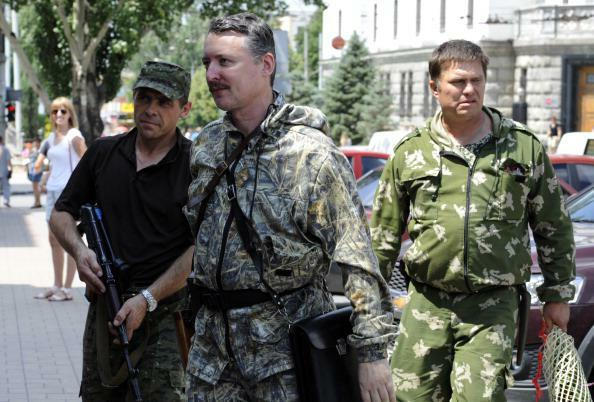 The pro-rebel website Russkaya Vesna on Friday quoted Igor Girkin as saying he was told by people at the crash site that “a significant number of the bodies weren’t fresh,” adding that he was told they were drained of blood and reeked of decomposition. The veracity of Girkin’s assertions depend, of course, on how much stock you put in secondhand accounts of forensic conclusions drawn by untrained Russian nationalists who have spent less than a day studying the widely scattered wreckage of an airplane that has just fallen 30,000 feet. Correction, July 18, 2014: This post originally stated in error that Girkin had asserted that MH17 victims were killed several days ago. He in fact said that was what he had been told.